A short walk from the picturesque waterfront village of Emsworth, Avocet Quay sits in a quiet position only yards from the sea with fabulous balcony views. Adjacent to the yacht harbour with it's own launch ramp and boat storage, it is hard to beat this unique waterside get-away. 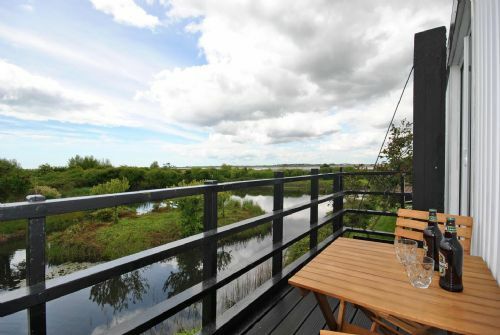 We are delighted that you enjoyed your stay at 6 Avocet Quay and you would recommend this property. We look forward to hearing from you again if you would like to make another booking! kind regards Henry Adams Holiday Lets team. Everything available for your needs. So comfortable and peaceful. Just come home from our 3rd great visit of the year with two more visits already booked. Making around 12 in total in three years. We love the Deckhouse a real home from home, We also love the area, Emsworth is a lovely little village with great Coffee shops, and places to eat with dog friendly pubs. Love it! We never what to go home, the week always goes by so quick. However,two weeks to go and we are back again for another week. Can not wait. Great location with fantatic views. Very comfortable and well equiped. Hope to return again next year. This is our 5th stay at this deckhouse - we love it - especially if the weather is good and you can take full advantage of the amazing views from the balcony. It feels like home from home and we hope to be back next year. Lovely walk into town with lovely eating places. Beautiful part of the world. This is a great holiday rental, everything you need and all the little extras in the kitchen make it feel like home. The owners have thought of everything. The property does allow pets so not suitable if you are allergic. Our recent stay at 6,Avocet quay was perfect for our requirements.We were visiting family for the birth of our grandchild. The deckhouse was fully equipped with every conceivable item that you may need. It was so comfortable ,and canine friendly which is important to us. We have been staying around Portsmouth for 10 years ,mainly self catering and sometimes hotels etc.,,but this is the accommodation which we have felt the most comfortable. We hope to book the deckhouse again in the future without doubt. We booked this property as a late decision and glad we did. 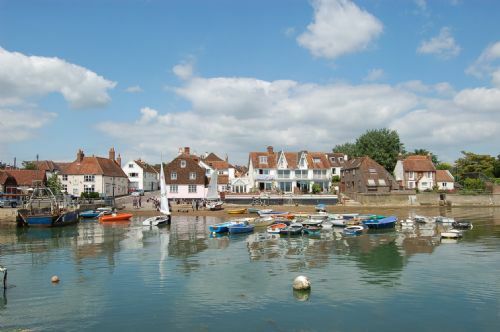 We had seen the properties before when walking around Emsworth and had always wondered what they were like to stay in. Certainly 6 Avocet Quay was a real gem. It comfortably slept the 3 adults (plus it was dog friendly - with the usual restrictions). It was probably the best equipped holiday let we have had. We were able to get a view of the water at an angle but of course is was a 1 minute walk to coast path anyway. At night it was lovely and quiet. The cafe in the marina was 5 minutes away and beyond that a nice stroll round the pond into Emsworth. All in all a great stay and would love to come back. 4th year at avocet quay would like to move in permanently. Never disappointed every time we visit it's got everything we need peaceful close to local ammeanties. A friend and myself stayed here to celebrate a special birthday. The apartment was beautifully appointed looking directly onto the estuary and out over Chichester harbour. The apartment was clean, spacious and bright and with every conceivable comfort, and eating at The Deck brasserie only 5 mins walk on the marina was a plus. Lots to do and visit in the area. We arrived by train into Emsworth station which is only a short hop away and also walking back into the town was easy and convenient for shops and the weekends provisions . We had a glorious stay, we could have just stared at the view forever. First time stayed here and I doubt will be the last - my mum and dog agree too! Lovely accommodation with fantastic views. 6 Avocet Quay is a real find - clean, bright, "homely"; all the equipment you could possibly want (including a wicker picnic basket with all the crockery, cutlery, glasses); really comfortable beds with first class linen and thick, thick towels; massive TV in living room with surround sound; very big TV in master bedroom; DAB radios; coffee maker; pans of such good quality that they took some lifting when full! ; bincoculars, books; loads of stuff you don't usually get like bin liners, washing up liquid (not that we used it as there is a dishwasher - with wash tablets! ), loo rolls, kitchen rolls, clingfilm, foil ----- oh, I could go on!! I've stayed in a lot of rented holiday homes and this has to be one of the best for equipment - quality and just how much there is! Comfy outdoor chairs on the balcony. Excellent wifi. 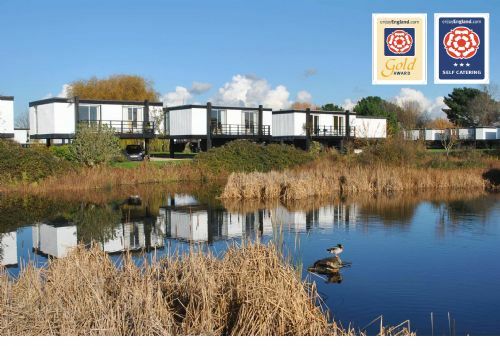 Situated by a pond with loads of wildlife and the sea just over the bushes. Honestly, I cannot fault it and wonder why the Tourist Board have given it only 3 stars (according to the board displayed when you enter the property). Great service from Henry Adams Holiday Lets too. Thoroughly enjoyed our stay at Avocet Quay in Emsworth Marina. The location was perfect for walking into the village or driving to the various lovely places in and around the area. The accommodation was extremely comfortable, with everything we could think of provided. The views from the balcony are exceptional...both sea and small lake. Lots of wildlife, including foxes, swans, rabbits and numerous sea birds. Will certainly be back!! We had a really lovely Long weekend away in this lovely little gem of a find. 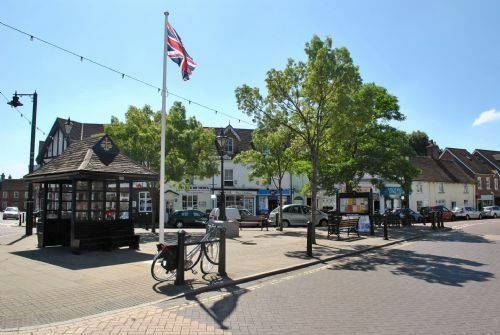 The location is great with the village in walking distance and Portsmouth and Chichester really close by. The house is very unusual being on stilts, it is so well presented clean and tidy and the views are great. Lovely walks right from the house with lots of wildlife. I would highly recommend a stay here and would love to visit again. We were late arriving after a long journey from the north of England. We did not locate the instruction manual until the next morning after a very cold and uncomfortable night with no heating and no extra bedding. The underfloor heat mat in the bathroom was greatly appreciated. 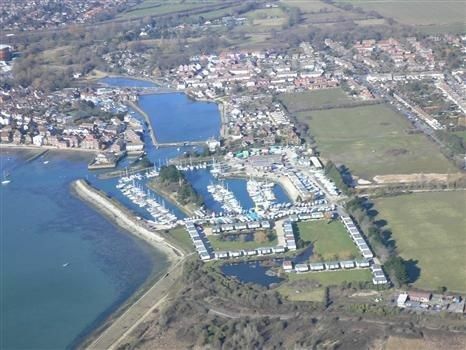 The accommodation was ideal for a family gathering in Emsworth. Thank you for taking the time to leave your review. We are sorry that you found the deck house cold on arrival. There is an instant heat setting on the heater in the living room, this is controlled by a thermostat, electric fan heater in the wardrobe and further electric radiator downstairs. Extra bed linen and blankets can also be found in the wardrobe and under the bed. We will make sure to ask the cleaners to keep an eye as to where the house manual is left as this has all the information needed in it. We will also send out a message in respect of the heating instructions out to all of our winter guests so this doesn’t crop up again. We hope your family gathering went well. Please do get in touch if you visit the area again. Perfect place to stay and all you could ever need in the deckhouse. We have stayed a number of times now and never get bored as there is so much going on both in Emsworth itself and in the boatyard area. You could spend hours on the sunny balcony watching the birds. On one occasion this year we had two Herons, six Egrets, one Cormorant, Coots, Moorhens and plenty of ducks in the pond outside the deckhouse - wonderful. Was out 4th visit, we have stayed both in the winter and summer. Both are just lovely for dog walking and relaxing in a lovely quiet setting. Already booked our next visit for Feb 2017 with more to follow. We love it, already booked our 5th visit, for next Feb and will hopefully be booking even more stays during 2017. Thank you as ever for returning to stay. The owners of 6 Avocet Quay like to get repeat customers! We look forward to speaking to you during your next booking. A very well equipped and comfortable rental property, in a great location. This was our second stay in this property and we look forward to renting again next year. Lovely to have you with us again! The Deckhouses are one of our favourite spots so really glad you enjoy it so much.